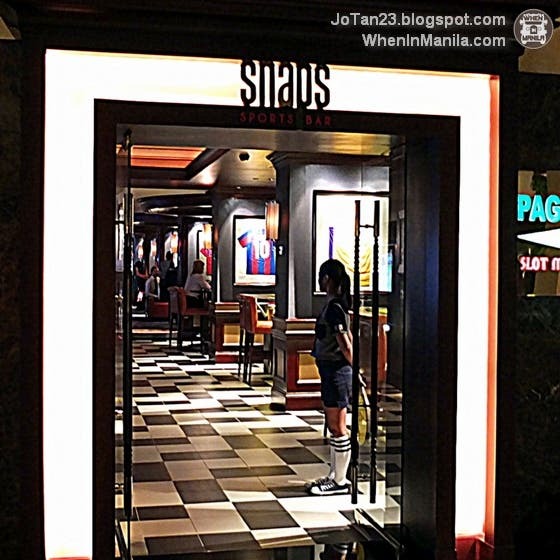 Snaps Sports Bar is Sofitel Manila’s trendy and casual dining space that caters to sports enthusiasts. Opened on May 8, 2011, coinciding with the then much-awaited bout between Manny “Pacman” Pacquiao and Shane Mosley, Sofitel Manila’s desire to open a sports bar that will cater to every Filipino sports enthusiast became a reality. And with that simple goal in mind, the concept for Snaps came to life. Snaps is truly the best representation of Filipino world-class excellence in sports. Today, Snaps continues to show the hottest sporting events via live telecast like the Barclays Premier League, Formula 1 Gran Premio de España Santander 2012 and the most recent major sporting event – The 2013 British and Irish Lions Tour to Australia. The whole place is a smoking area and cigars are available for sale. Basketball fanatics and other sports enthusiasts will be happy to see original jerseys framed on walls. For an added recreational treat, a pool table and foosball machine are available. Likewise, add hip music, your favorite drink in hand and gourmet comfort food to the mix, and you’re all set to let the good times roll. 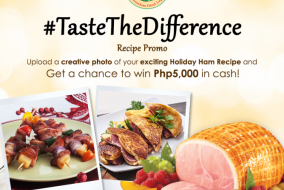 WIN P5,000 Cash with Holiday Ham’s #TasteTheDifference Promo!